Friday I had the good fortune to get a few minutes to talk with Ben Meyercord. He is a Portland musician. 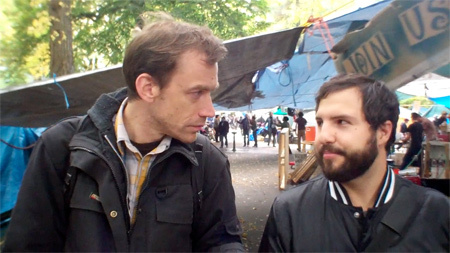 We had a short conversation while walking through Occupy Portland base of operations. Check out Meyercord and Y La Bamba on facebook at http://www.facebook.com/ylabamba. Previous Previous post: Occupy Wall Street.